Unfortunately, Derby the husky cross wasn’t born like other dogs. While her back paws are normal and well developed, a deformity caused him to be born with small and very twisted forelegs. He couldn’t walk at all. But Derby caught a break when she was adopted by Tara Anderson, who works for a 3D printing company called 3D Systems. 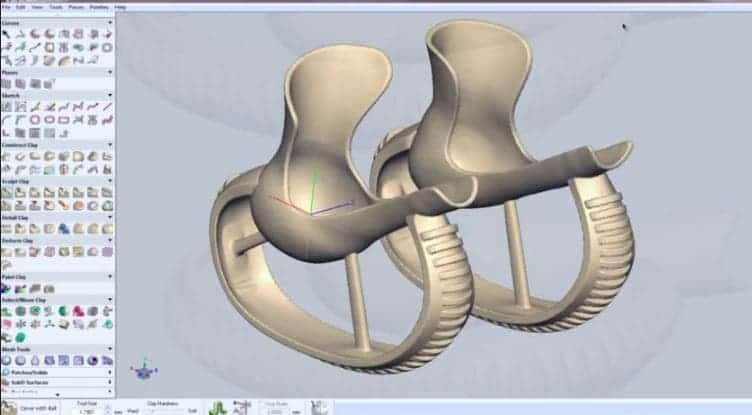 Tara teamed up with an animal orthotist, Derrick Campana, and together, the two 3D Printed prosthetic legs for Derby to use and walk on, as you can see below. “We’re using a variety of 3D technologies, and that allows us to get in there and really modify the organic digital models quickly and easily, and start to do the sort of designs that Derrick wants us to do,” one of the team, Kevin Atkins from 3D systems says in the video above. The approach was a total success, and Derby now runs over 5 km a days he’s much happier. In order to create the prosthetics, Derrick and Tara first scanned the husky’s front legs, and within hours, they built custom ‘arms’ for him. These arms also incorporate rubber treads to soften the impact when Derby is running, rigid spokes, and straps that hold them in place on his body. This is not the first time 3D Printing has been used to help an animal walk. Just a few days ago we were telling you about a turtle who is able to walk thanks to a custom-built LEGO wheelchair. The technology is hitting the world, and hitting it hard… in a good way.